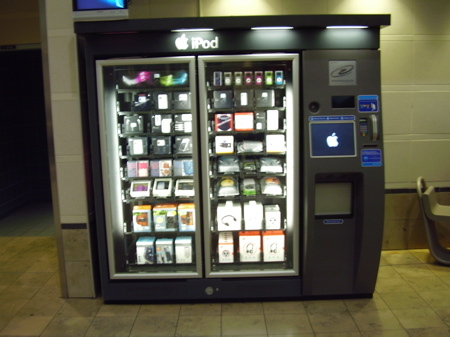 I love the idea of this – an iPod vending machine selling not only iPods but digital cameras, headphones and other accessories. Apparently there are a number of them at airports across America (spotted at San Francisco, Minneapolis and Atalanta airports amongst others). Much better for you than a chocolate bar or a can of Coke!